Finally the long waited Skype integration for Lync is here. Although the Integration is there now, but it’s currently available for only Audio calls. Video calling is not yet supported. I’m sure in this will be in place with future Cumulative Update. 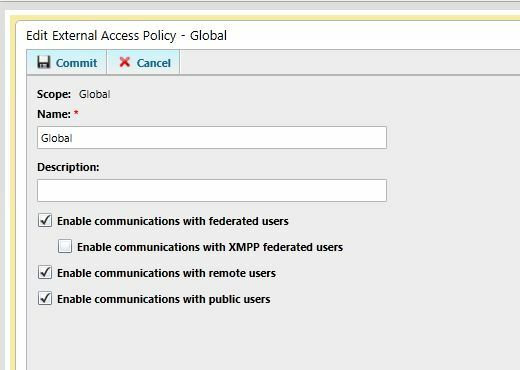 This article will guide you in Provisioning and Configuration of Skype as a public Provider in Lync Server 2013 and 2010. As a prerequisite for this, The Edge server must be deployed and Federation must be enabled. Although Microsoft suggest to have _SIPFederationTLS._TCP.DOMAIN.COM SRV has to be in place, But this is not mandatory. As long as you have an “A” record for Assess Edge service, that’s all it needs. First of all the Processioning has to be done. To do this you need to have an active Microsoft partnership (Licensing Agreement). 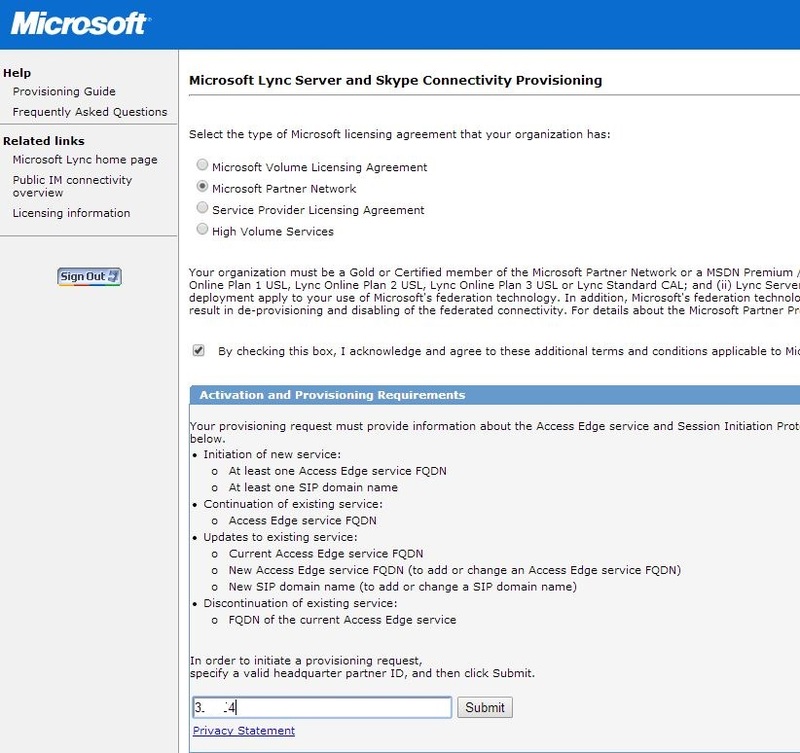 It can be a Volume License Agreement, MPN (Microsoft Partner Network). Sign in using your Windows Live ID and select the Licensing agreement type that you have. check the terms and condition box and enter the agreement ID. Submit when ready. 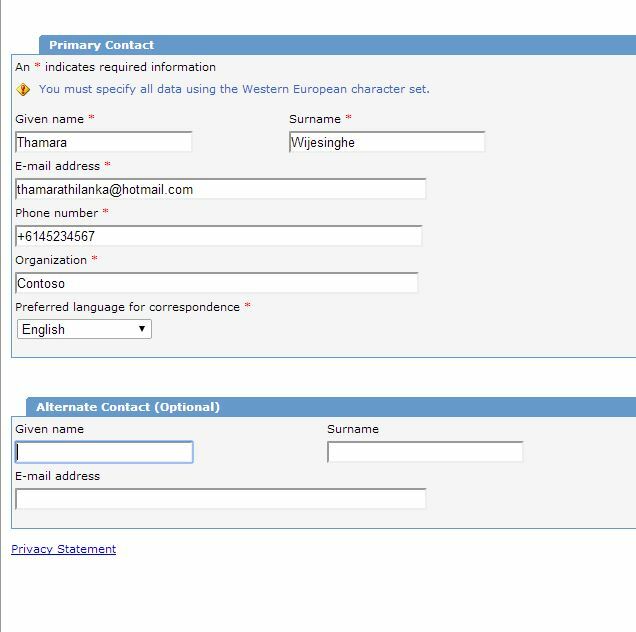 Fill the details of the Primary Contact and Alternate Contact. Proceed when ready. This is the contact that Microsoft will notify when the provisioning process is completed. 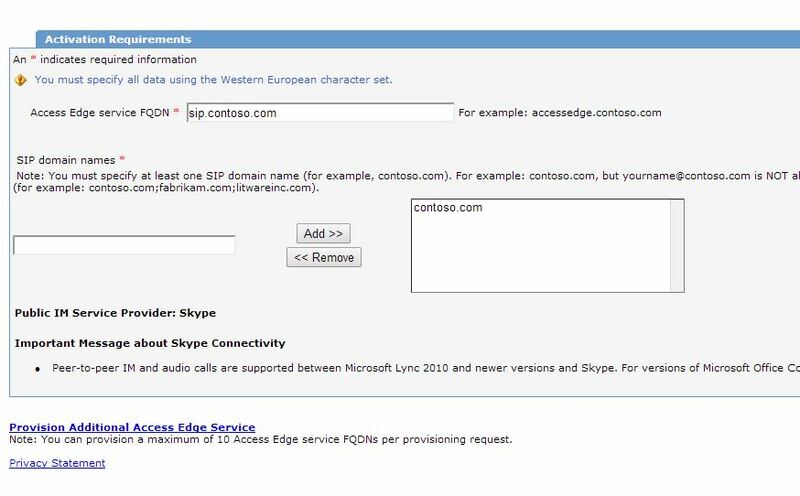 Configure the Access Edge FQDN and add SIP Domains that you have in Lync. There can be only one Access Edge FQDN. Proceed to submit the Request to Microsoft to get on with the provisioning process. This can take up to 30 days to complete. At this point, the Skype integration is fully configured and active. Once Microsoft get done with the Provisioning process, you can add Skype users in to Lync. There’s a catch for adding Skype users. You need to add Skype users by their Windows Live or their Hotmail ID. not the regular Skype ID. To the the communication going, the Skype users must log in to Skype using the Windows Live or Hotmail ID. If you need in detailed information regarding the process, please go to http://www.microsoft.com/en-au/download/confirmation.aspx?id=39071 and follow the document.